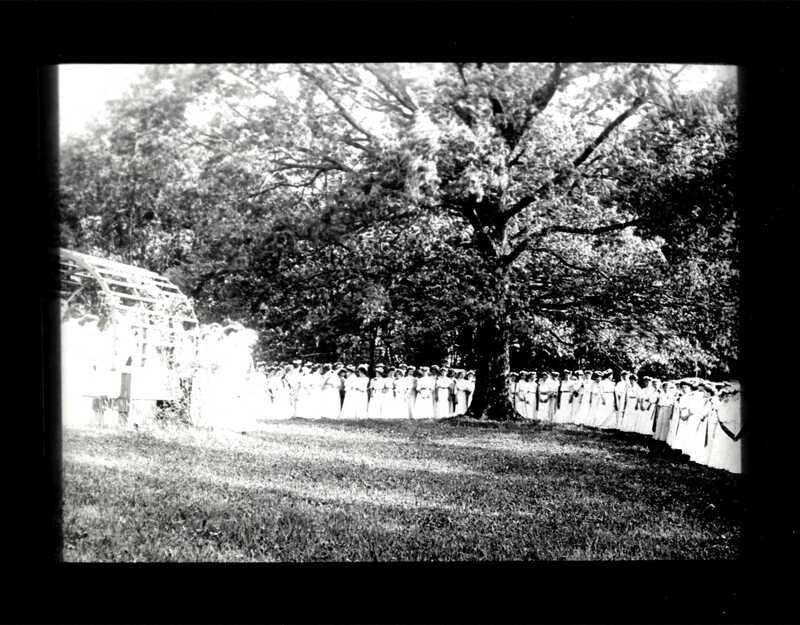 Gathering for 25th reunion, and the beginning of the Alumnae Association (1880): In January, 1880, a letter went from Miss Peabody to graduates and former students. The seminary would like upon its twenty-fifth anniversary to examine and evaluate the soundness of principles upon which it had been educating its students. The seminary was pleased with its alumnae, and in turn decided to celebrate its twenty-fifth anniversary by forming an Alumnae Association. Procession for College Day / McKee Birthday: College day was initiated by the students themselves in annual celebration of Leila McKee’s birthday on October ninth. Miss McKee’s chapel talks were always inspiring; her birthday chapel talk set the standard for the year and was anticipated with great pleasure by the old students, for it introduced their beloved Miss McKee to the new arrivals. 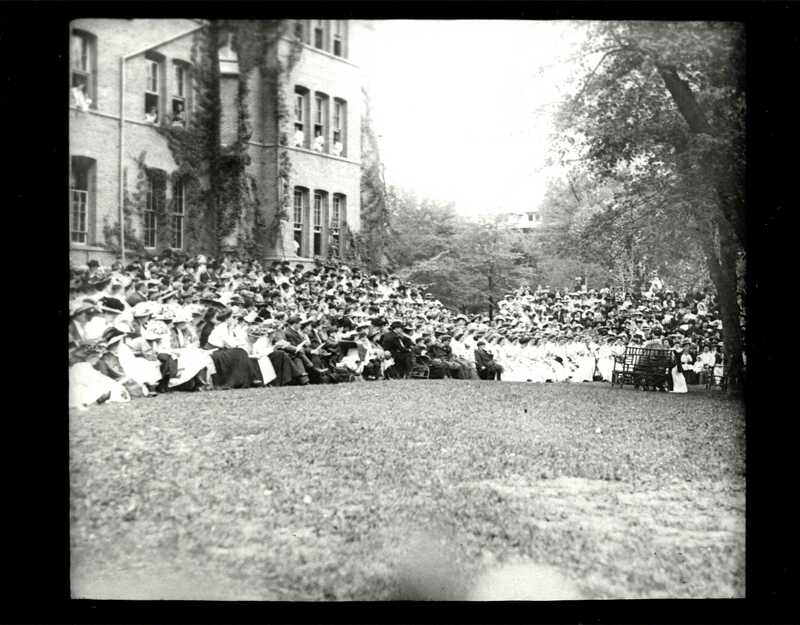 The day usually ended with a picnic and yearly it became more and more of an occasion until it finally became a festive day of welcome to the news students and in 1905 was named “College Day”. 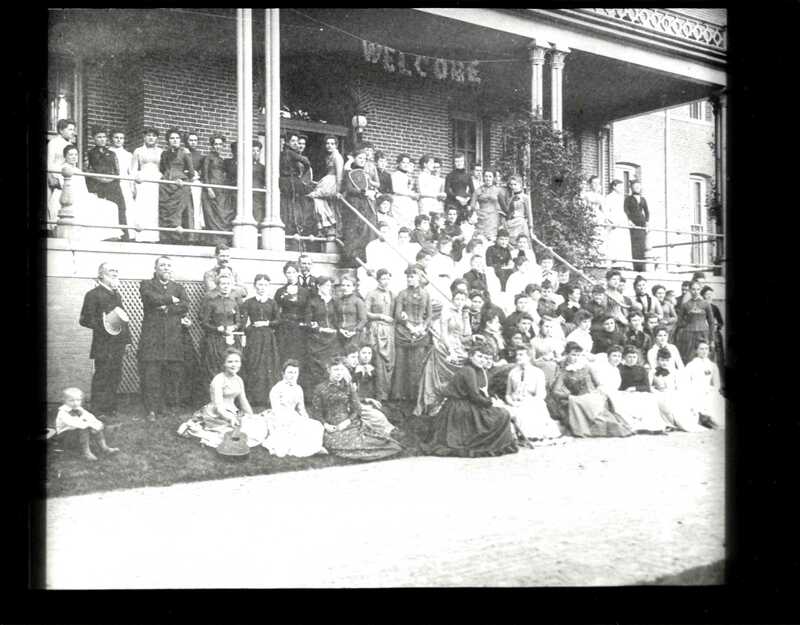 McKee Coronation: Leila McKee became the second principal of Western Female Seminary in 1888. Her father was vice-president of Centre College in Danville, Kentucky. She was a graduate of Western Female Seminary and Wellesley. During her administration Alumnae Hall was dedicated, the school marked the first step from seminary to college. 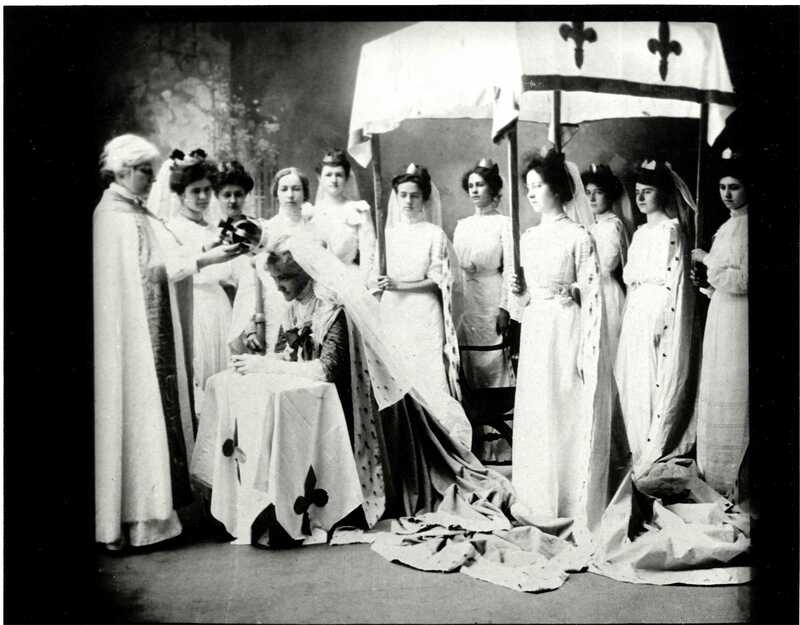 In 1894, the Western Female Seminary became “The Western: A College and Seminary for Women.” McKee became the first female member of the Association of Ohio College Presidents. 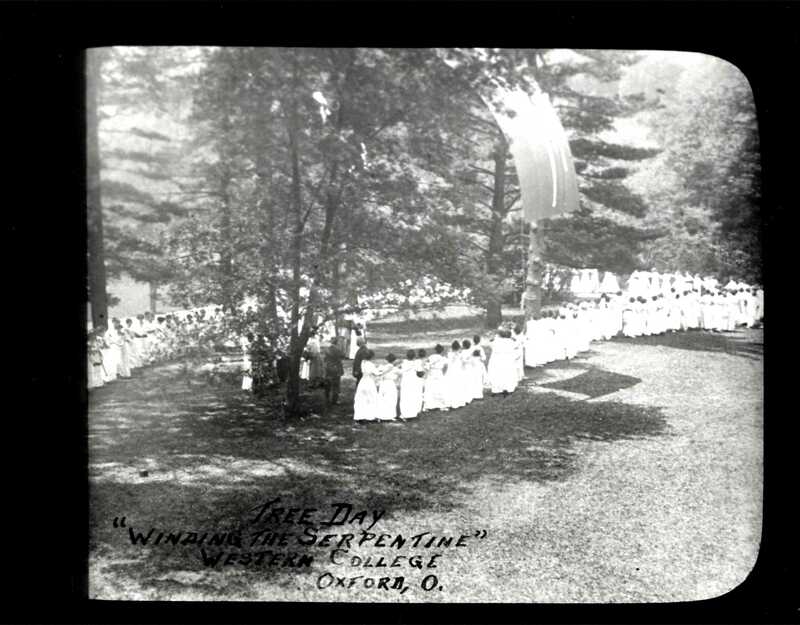 Tree Day Winding the Serpentine: Students display the flag for the Western class of 1917 at the institutions annual celebration.